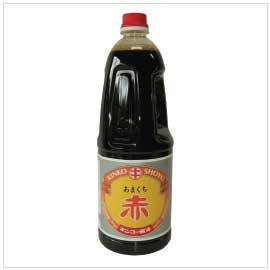 Amakuchi Shoyu or sweet soy sauce is prominently used in southern and northwest regions of Japan. Although this soy sauce is sweeter than the standard soy sauce, the exceptional depth and well-balanced flavor proves versatility of this product. Use in replace of your typical soy sauce to explore the beauty of difference a soy sauce can make.